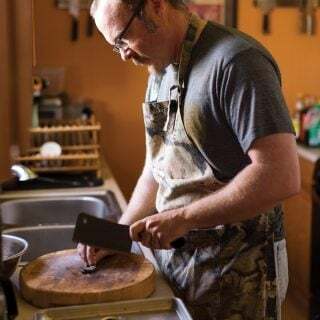 I do a lot of meat curing, and make all kinds of fresh sausages, so I thought I’d compile all my sausage and charcuterie recipes here to make it easy for someone to browse through all of them. Charcuterie is a vital part of any hunter’s skill set, as you never know when your power will go out; the loss of an entire year’s worth of game when a box freezer heats up can bring tears to anyone’s eyes. But curing meat is more than an insurance policy: It transforms often sketchy cuts of meat into magical tastes and textures. It’s alchemy: salt, temperature, humidity and time. If you are a newbie, I recommend you start with things like fresh sausages and pates or rillettes, which are basically a rougher pate. Only when you know how to do these fresh projects should you begin curing over the long term. A good place to being your curing career is by making duck or goose breast prosciutto. This project is so easy you can do it in your fridge. 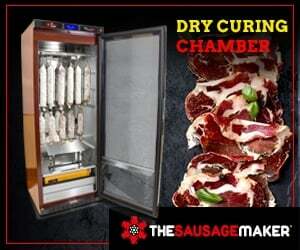 You will need a curing chamber to make any sort of cured meat charcuterie. I have links below to what you will need. This is what I use for butchering all sorts of animals at home. From gear you need in the field all the way to storage options and notes on freezers. 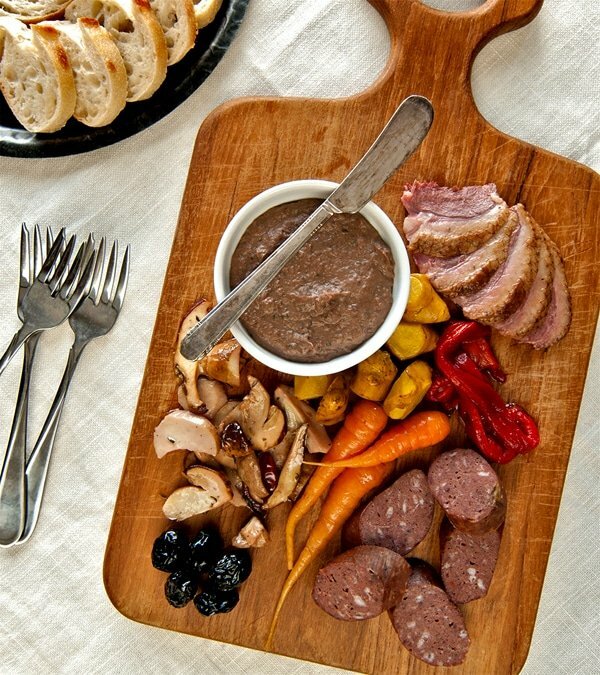 Some special considerations you should know when working with venison for charcuterie. 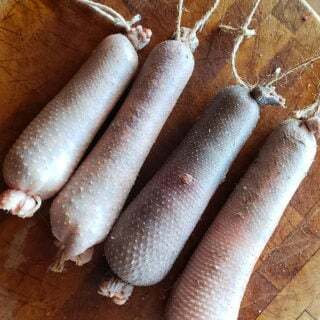 The ultimate natural casing when you are making poultry sausages. Goose necks are the best for this, but turkey necks and even chicken or pheasant necks will work. 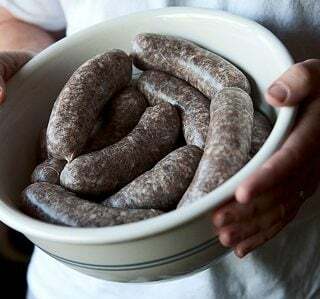 These are sausages like you buy in the deli counter. They need to be cooked, and are all pretty perishable, so make them and eat (or freeze) within a week or so. This is where you start on your charcuterie journey. Some of these recipes require curing, but most are fresh. 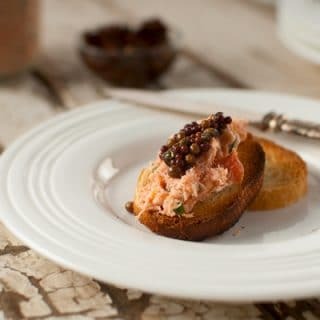 Confit and rillettes keep for a long time in the fridge, so they are a bridge between fresh sausage and dry-cured meats. 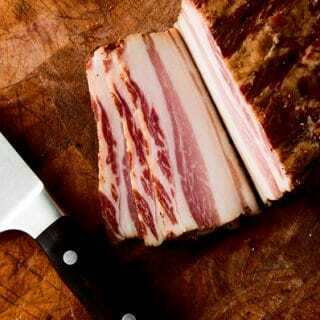 These are excellent recipes for beginners, and many are great ways to use “off” cuts and offal. Who doesn’t like smoked foods? These are recipes for all sorts of smoked meats and fish. 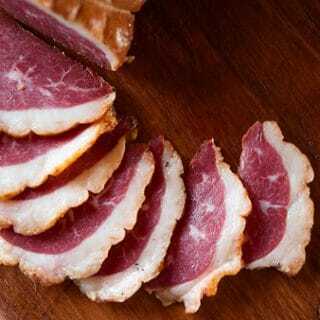 Dry cured whole cuts of meat, like hams, duck breasts, air-cured backstraps, etc. For the most part, you will need a curing chamber to do these. 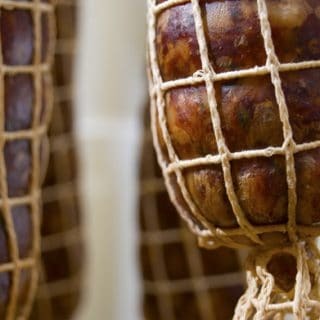 These are the real deal: Dry-cured, fermented salami recipes. 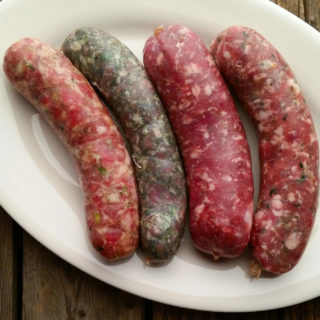 Only try these after you’ve learned to make fresh sausages. Does insta cure # 2 go bad? Great recipes! I have a question though. I have a old cast iron sausage stuffer. How would you suggest cleaning it that would be good enough to make dry cured meats? Boiling water? John: Not to my knowledge, but it loses its pink color after a year or two. John: Yeah, that should do it. And be very meticulous about scrubbing any tiny particles of meat that might be lurking in it.